Call us today at 812-752-7204 and receive a FREE SITE SURVEY. No obligation to find out if internet service is available to your business. 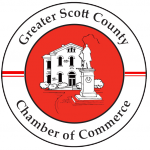 Is your business located in Scottsburg? If so - WE NOW HAVE FIBER! Locally owned and operated CItizens Communications is your internet service provider (business and residential) Call today!